Creating Robert Whitaker’s Z4 Whitograph. Star quality is a difficult thing to capture in a photograph; when once captured it is a reflection of the internal forces that make people stand out from the ordinary. As a photographer,Robert Whitaker possesses the ability to coax this star quality to the surface, so that each of his remarkable images make one feel the power of the famous page captured on film. Robert’s ability to connect with his subjects, many of whom are famous pop musicians and visual artists, has resulted in firm friendships spanning his 40-year career. This connection makes these people who have shaped our culture, from the Beatles to Mirka Mora seem vibrant, friendly, disarmed, yet undeniably star-like. Robert and I first met through a fundraising dinner for the Neuroscience Foundation at Royal Melbourne Hospital featuring his iconic images of Mick Jagger as Ned Kelly. When Robert returned to Melbourne to stage his remarkable 40 Year retrospective, Yesterday and Today, he gave me a ‘Cook’s Tour’ of the exhibition. One of the most striking portraits in the show taken in 1972 of artist Salvador Dali, uses all 36 exposures of the surrealist artist’s face to create a single image. Whitaker revisited the concept almost 30 year’s later, creating Whitographs of a number of prominent artists, including Judith Durham, Robert Besanko and Howard Arkley. 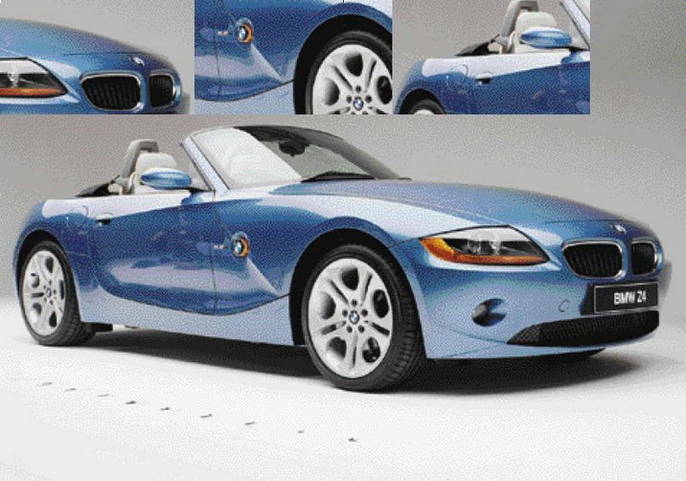 As we walked among Robert’s photographs, the subject of the coming BMW Z4 roadster prompted the idea of creating a Whitograph of a car. The candidate was perfect: intriguing forms, sweeping interior surfaces and the promise of a powerful, mechanical ‘soul’. In creating a Whitograph of a person, Robert captures the emotions, expressions and spirit as he moves around the subject. “Everybody’s face is utterly fascinating and I can never make a Whitograph the same, because facial movements are always different”, Whitaker states. of exposures. Robert broke down brochure photographs into grids, and we briefly flirted with using conventional photographs. The more we discussed it, the obvious solution kept emerging — use digital photography and a computer-generated grid. image is a remarkably in-depth vision of a complex machine, complete as the designers intended, yet exposed in the detail that makes the car a more complex and emotional creation than just steel, aluminium and rubber would ever suggest. 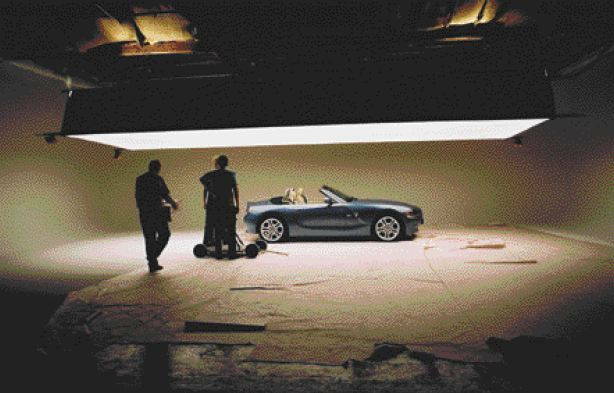 BMW Z4, 2003 by Robert Whitaker will be displayed at the Bib Stillwell launch of the BMW Z4 roadster at the Monash Gallery of Art on Thursday 20th July 2003. The photograph will then be displayed in the Bib Stillwell Showroom, 145 Williams Road, South Yarra. The car, Robert decided, needed a more mechanical approach. The challenge was the size of the subject with the resultant number of exposures.